Look at this. 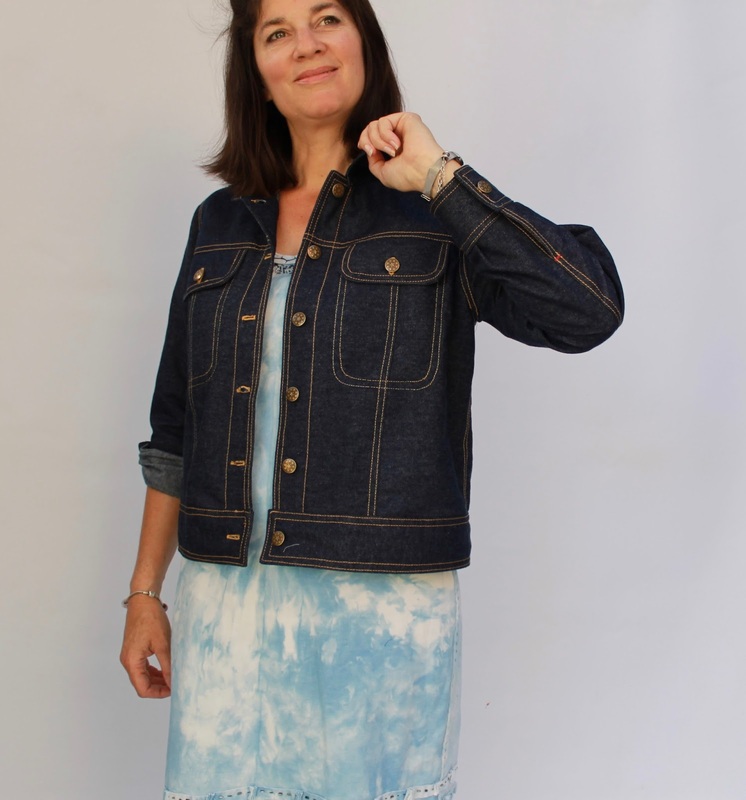 A denim jacket! I absolutely love this jacket and it has been the most exciting thing I've made for some time. It was so much fun planning, sewing and watching it come together. 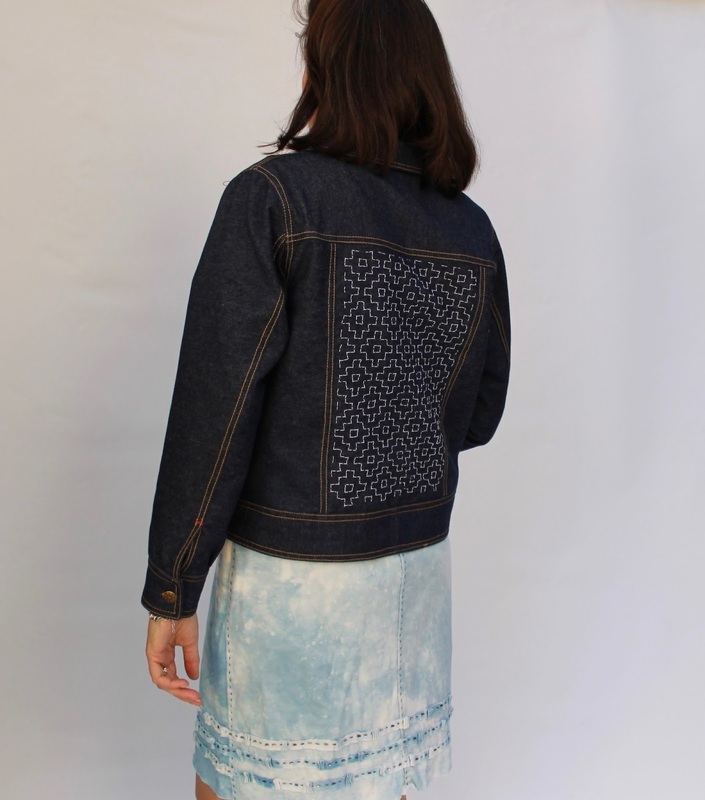 The Maisa Denim Jacket is from the SS17 collection by Named, which was released yesterday. This collection has some lovely pieces and I will be blogging, in the next few days, about two other patterns from this collection that I also tested. 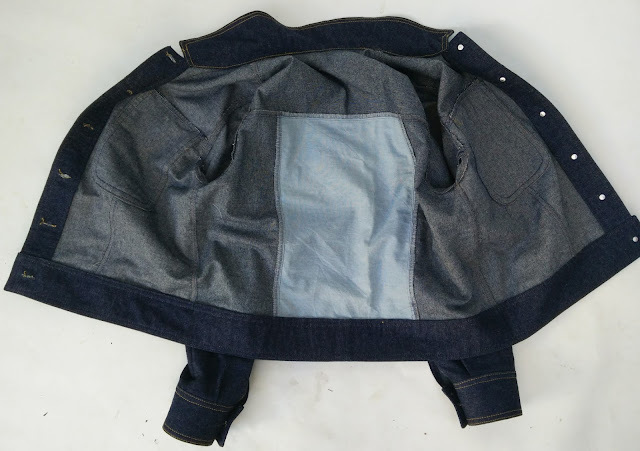 The sample jacket from the collection was made from recycled jeans, which I considered using for my jacket. 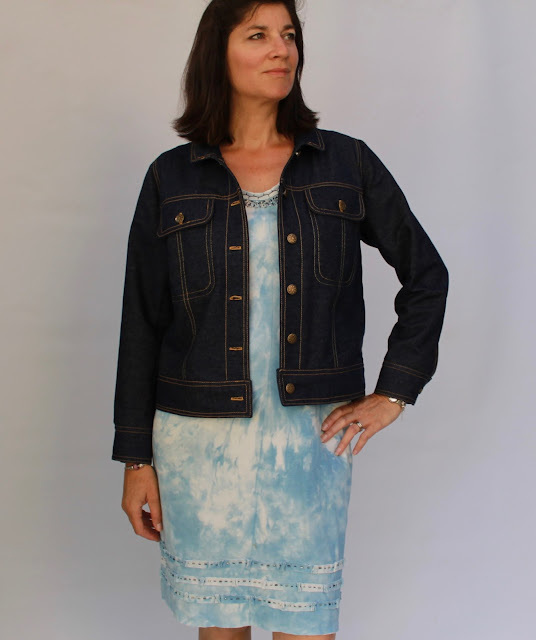 However, I had some remnant pieces of this dark denim from Remida and I decided to use those in the end. 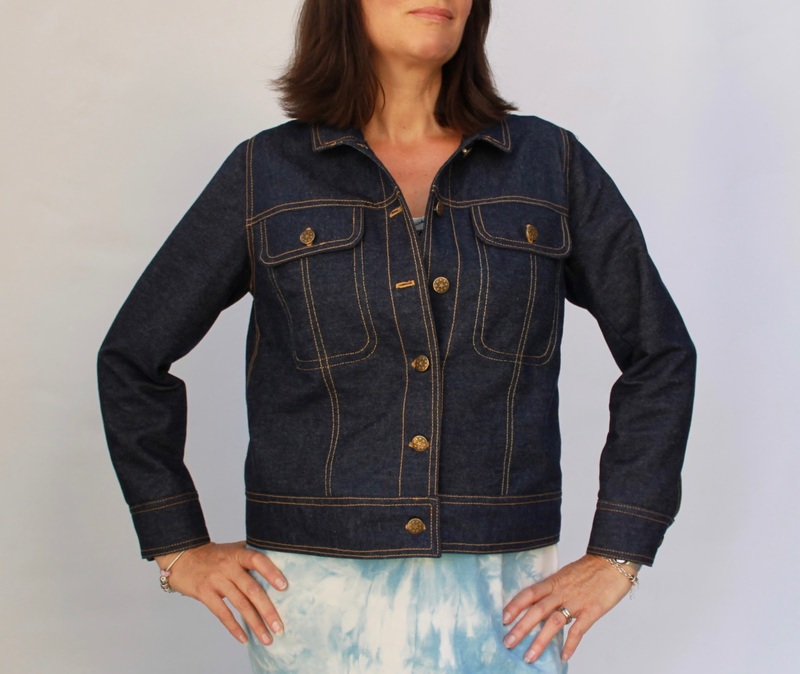 It is a medium-light weight denim with no stretch and was a perfect choice for a comfortable jacket. I have made many Named patterns before and completely trust their quality and sizing, so I decided to do some Sashiko stitching on the back panel before sewing up the jacket. I found a tutorial online and got to it. 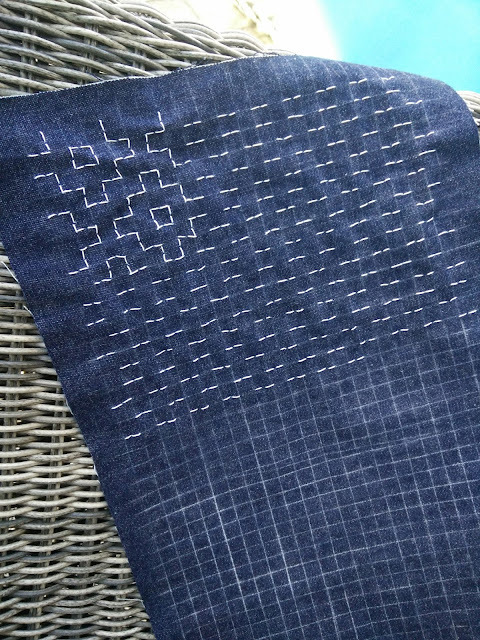 I drew the grid on my fabric with a chalk wheel pen and sewed two stitches per square for durability, following the plan in the tutorial. It was very satisfying watching the pattern emerge. I was sewing this around Christmas during the summer school holidays, so took it with me to a waterfront cafe and stitched while the children played in the water. 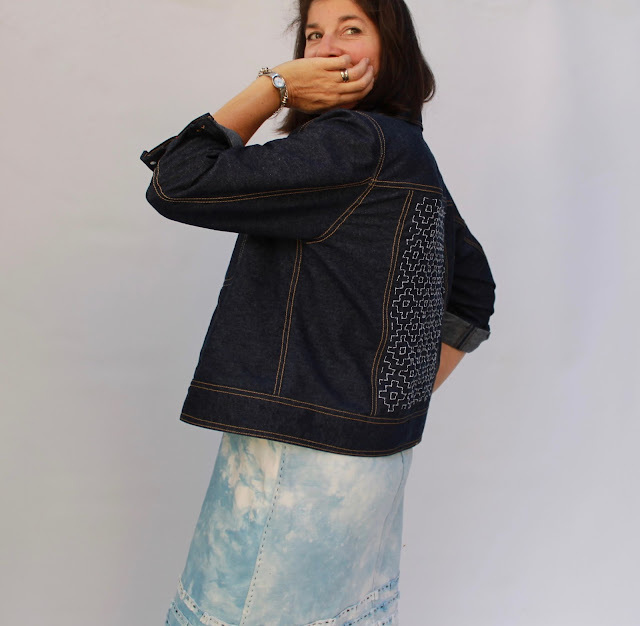 Once the Sashiko was finished I sewed the rest of the jacket. I lined the back panel with some cotton chambray to hide the knots from the Sashiko. 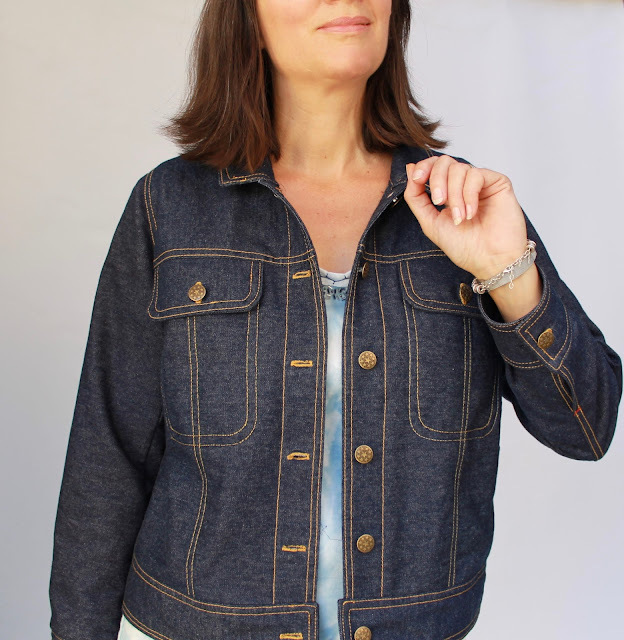 The instructions are great for this pattern and produce a very neat inside for this unlined jacket. I used rust-coloured thread for the topstitching and added little red bar tacks at the opening of the sleeve vents. The buttons are jeans buttons from Spotlight that are hammered into place. 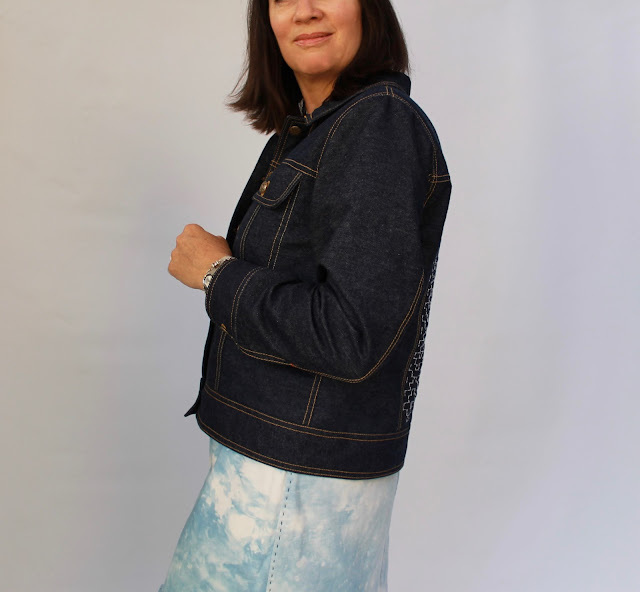 This jacket is completely comfortable with no pulling at the shoulders when I stretch forward (a problem I have with some jackets). I have already worn it many times since I made it as it goes with everything. The proportions all seem spot on to me and I just love everything about it. 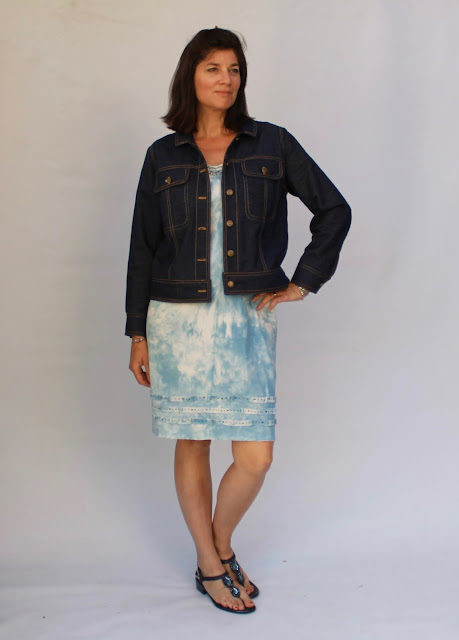 In the spirit of hand sewing, I'm wearing the jacket with my indigo dyed Alabama Chanin style StyleArc Tammy dress. 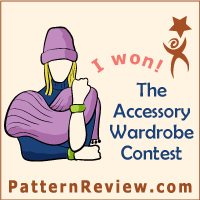 Thank you to Named for the opportunity to test this pattern. I love everything about it and, as always, their pattern testing procedure was professional and lots of fun. Wow, I just love how you interpreted this pattern! It is certainly different to Named's sample but I think I prefer it - the embroidery makes it something special. Thank you so much. It's my first time trying the Sashiko technique and I love the effect it creates. Beautiful jacket Meg. I love how you have personalised it with your sashiko stitching. The top stitching is just perfect. No wonder you love your new jacket. That is so beautiful! I was shocked that you turned this out so fast when the collection just came out, but it makes much more sense that you were a tester! 😄 I was attributing super-human sewing speed to you! 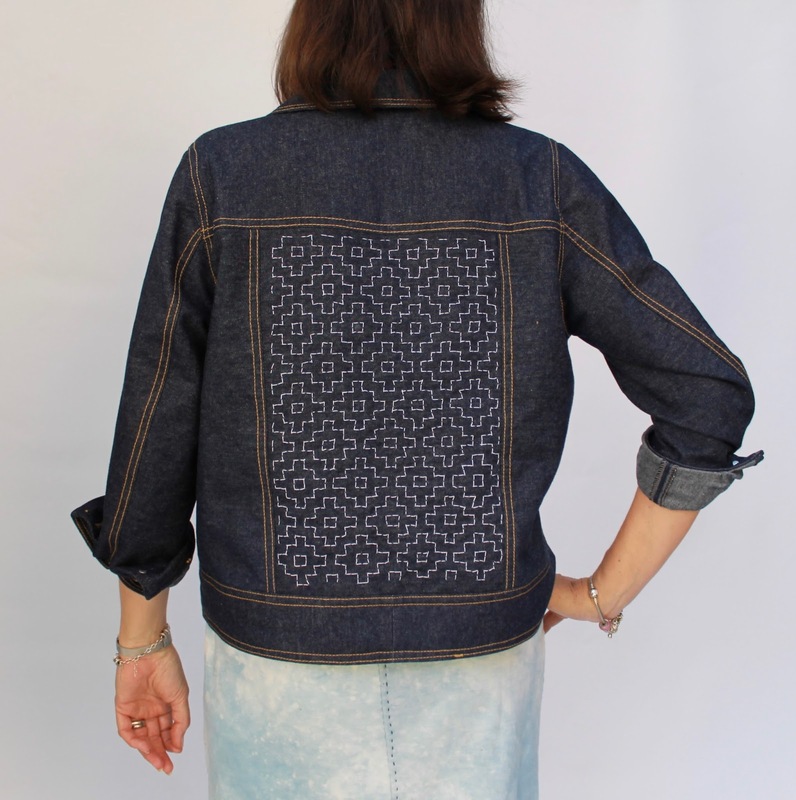 This looks so professional and the sashiko is such a great detail. love it and the embroidery makes it so cool. Wow, this is such a cool jacket! Well done. I think the single colour denim (as opposed to the sample) works beautifully and as you say, goes with everything. Gorgeous! Love everything about it. It's a beauty. The embroidery makes it SPECIAL !!! The Japanese embroidery is pretty special. 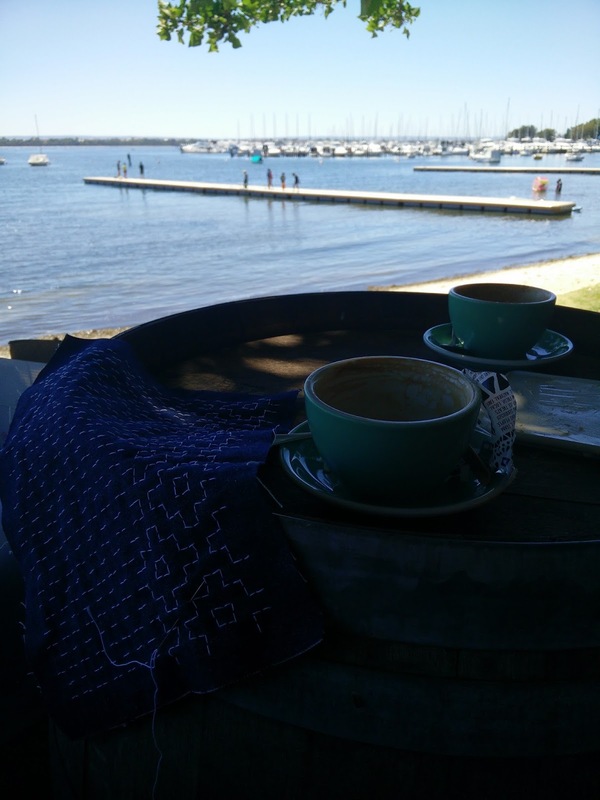 I love the stitching detail and your supervisory stitching sounds like the perfect summer activity.